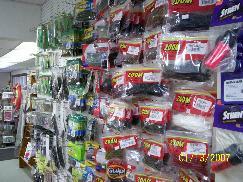 Featuring a variety of top quality live bait and fishing tackle by Zoom, Heddon, Cordell, Smithwick, Storm, Rapala, Yamamoto, Berkley, Bink's spoons and in the colors that work on Norfork Lake. 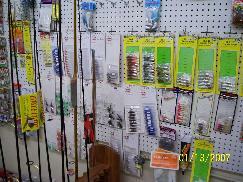 Rods and reels by Falcon, BassPro, Zebco, Okuma, Mitchell to name a few and everything from hunting and camping gear and cooking supplies to licenses and boating accessories, we are your full-service store for good times at Norfork Lake.We can also refer you to a Hunting or Fishing Guide in our area. 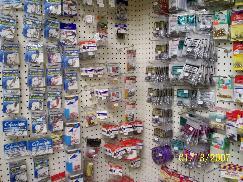 Get your license for hunting or fishing from us, while you wait! Contact us in Gamaliel, Arkansas, for more details.